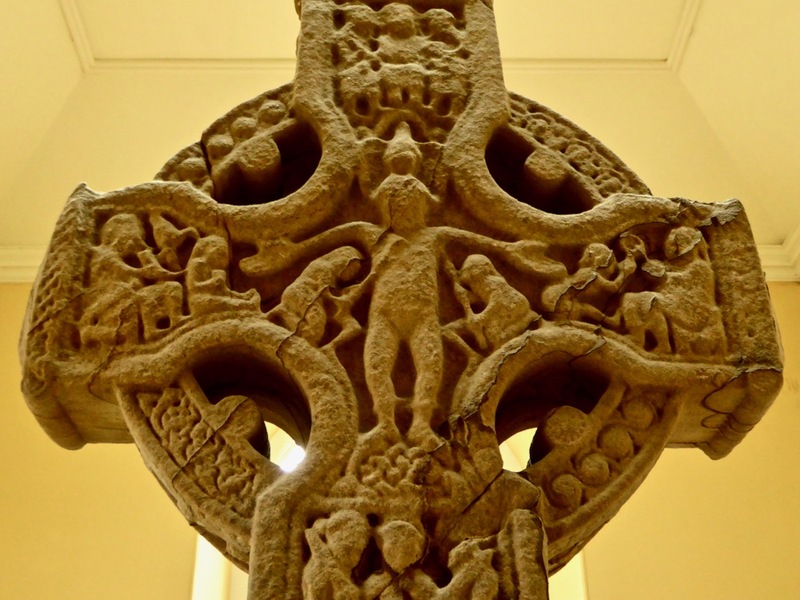 Earlier this year, Finola wrote a very popular post entitled Off The M8 and into Medieval Ireland. From the responses, we realised that many travellers welcome the idea of breaking up a long journey by taking a diversion to experience some aspects of Ireland’s wonderful historical heritage. 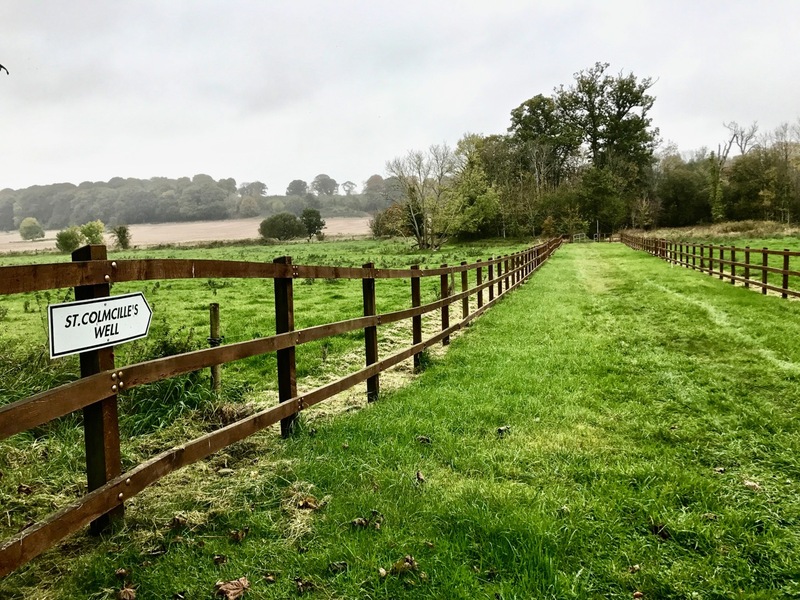 So, I’m taking up the mantle today by suggesting that you go a fair bit out of your way – if travelling the route between Dublin and Cork – to visit the ecclesiastical site of Durrow, County Offaly. 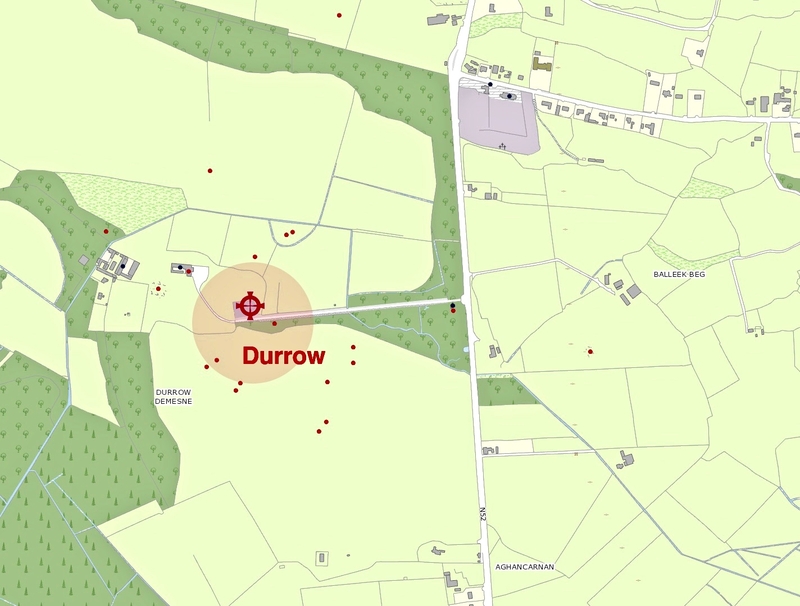 You’ll need a bit of guidance in order to find this little piece of medieval Ireland: hopefully the extract from the National Monuments Service Historic Environment Viewer – an invaluable source for us in our travels – will locate you (above). At the time of writing this, there is no signpost on the N52, but the entrance to the site is through a substantial gateway about 3km south of Kilbeggan – from Junction 5, on the M6 motorway – heading towards Tullamore. From the M50 around Dublin, leave at Junction 7 and it’s a one hour journey to Durrow. From Durrow it’s 40 minutes to connect with the M7 /M8 at Portlaoise. So taking this detour will add between 40 and 50 minutes to your overall journey, depending on traffic. But it will be well worth the extra time if, like us, you are mad about Irish history. 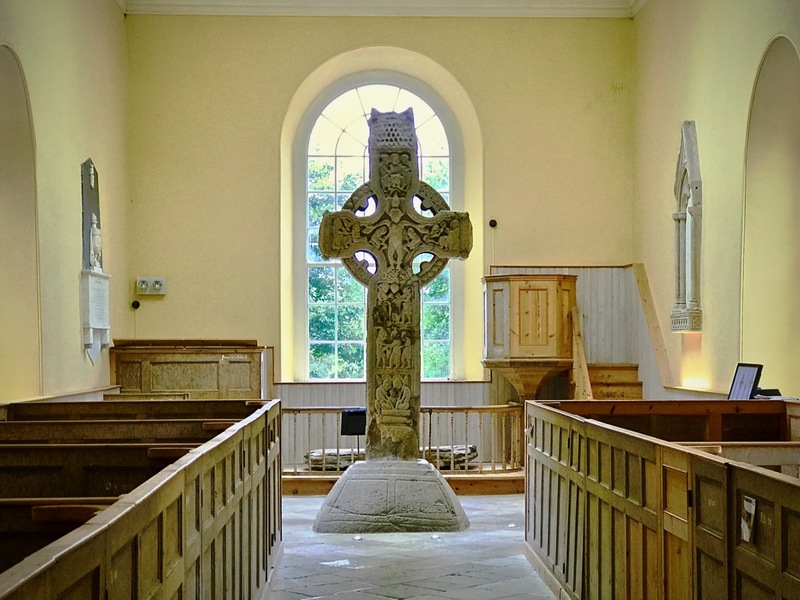 As you can see from the header picture – and the one above – the greatest delight of Durrow is the medieval High Cross, now saved from the elements and safely displayed inside the late 18th century church which is probably built on the site of an Augustian Abbey church founded in the 1140s by Murchadh Ua Maoil Sheachlainn, high king of Midhe, who died at Durrow in 1153. The cross – possibly 10th century – is a really good and clearly legible example of the scriptural type, depicting scenes from the Bible. The OPW has annotated all the panels in excellent information boards. This is the west facing entrance to St Colmcille’s Church, Durrow, which now houses the High Cross and a number of cross slabs and grave slabs, some of which are medieval. A monastery was founded here by Colmcille in the 6th century; it is possible that the stone head which can just be made out above the entrance, and below the bell tower, could date from the earliest building period on this site and was incorporated into the present church. Perhaps it is St Colmcille himself – looking down over the old graveyard, and the original site of the High Cross. 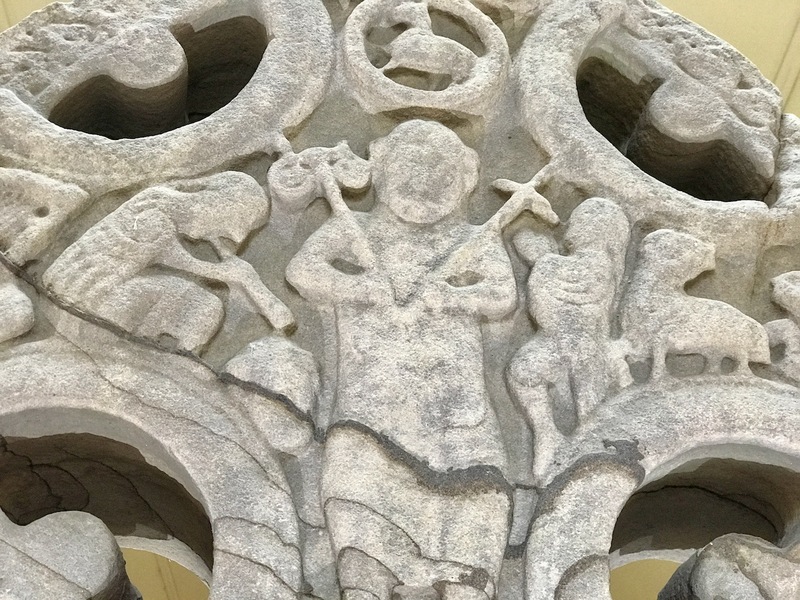 Colmcille famously established the monastery at Iona in Scotland, and over sixty churches in Britain and Ireland claim him as their founder. Above (left) is a photograph taken in 1890 of the Durrow High Cross at its former site, to the west of the church building which now houses it. 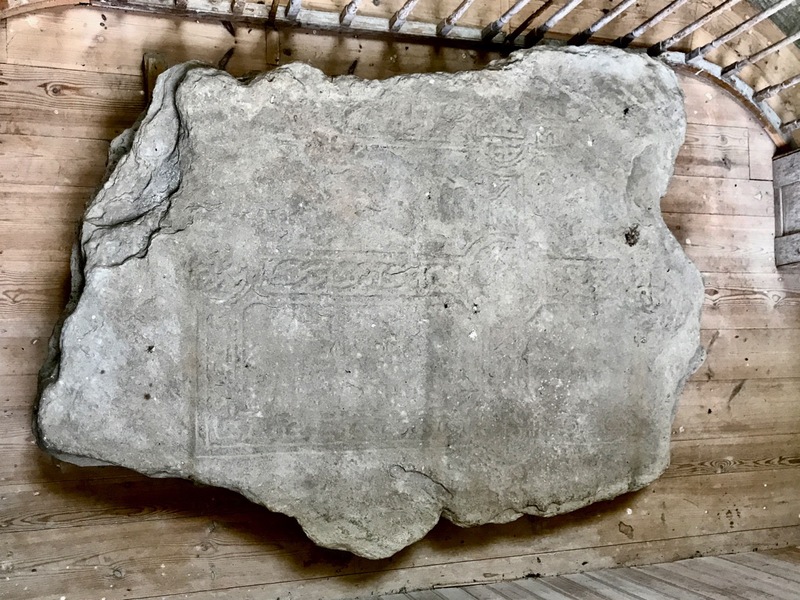 To the right is a fragment of one of the grave slabs which were embedded in the churchyard wall enclosure and which have also now been mounted inside the church for safety and conservation. This one is said to date from between the 12th and the 15th centuries: the visible inscription has not been deciphered. 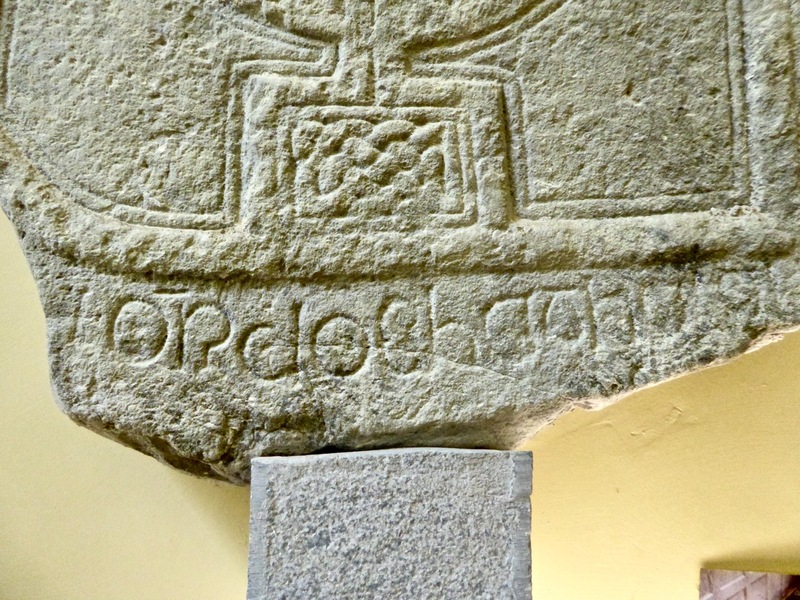 Above is an earlier cross-slab which has been described as …possibly of 9th century date… The inscription probably reads Ór do Chatalan (Pray for Chatalan). 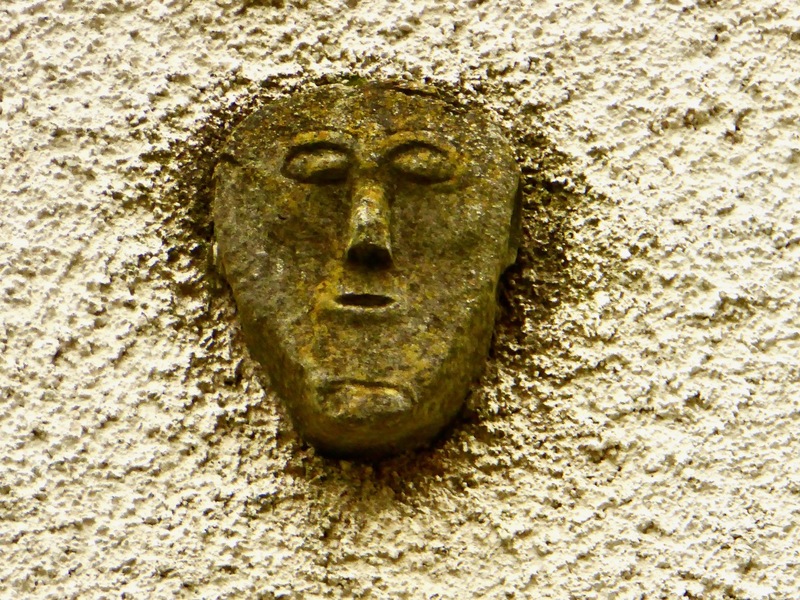 This carved stone was also located originally in the wall of the churchyard, and is now in the church. 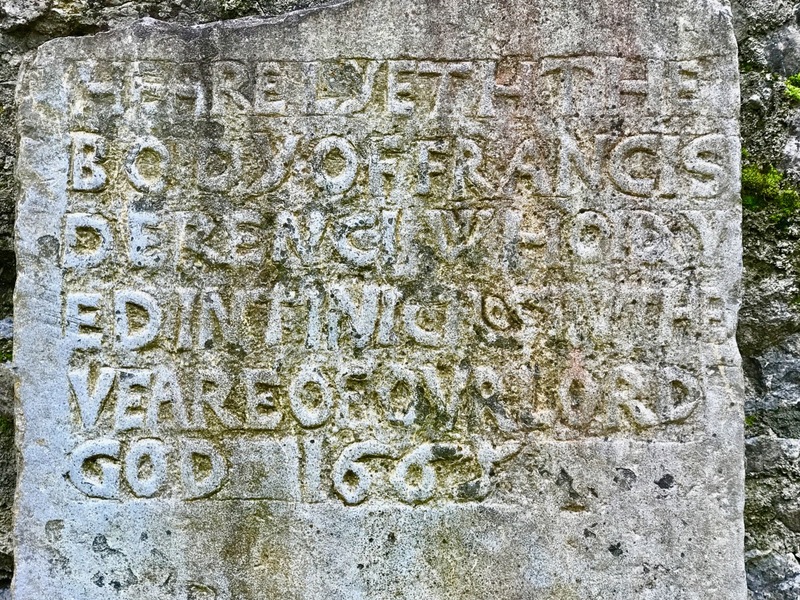 Through a curious twist, the inscribed stone above, dating from 1665 and commemorating a member of the De Renzi family of Hollow House in the townland of Ballynasrah, has been taken from inside the church and placed against the wall of the 18th century burial enclosure of the Armstrong family located outside in the graveyard. Below is a large ‘early Christian’ cross-slab, also taken from the wall of the graveyard and now resting inside the church below the east window. 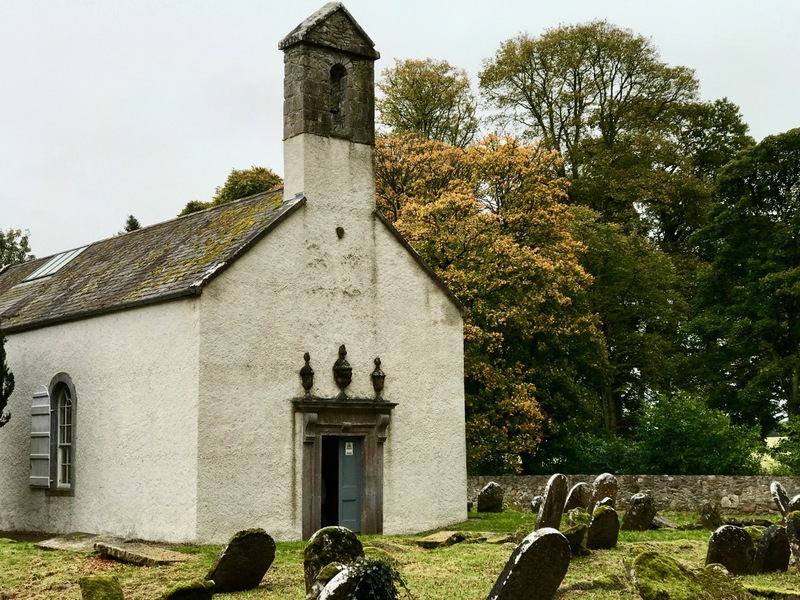 Don’t ignore the church itself – and don’t get confused with the thriving Catholic Church of St Colmcille in the small village of Durrow, only about a kilometre away. 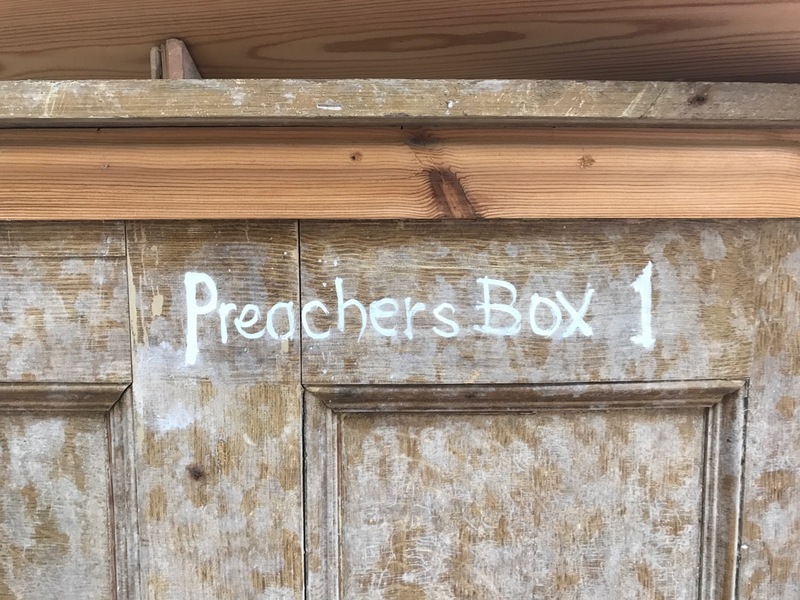 The one here off the beaten track (which now houses the High Cross and the cross-slabs) is a Church of Ireland site, and is a very well presented example of a simple 18th century interior with box pews, a raised pulpit and a ‘preaching box’. 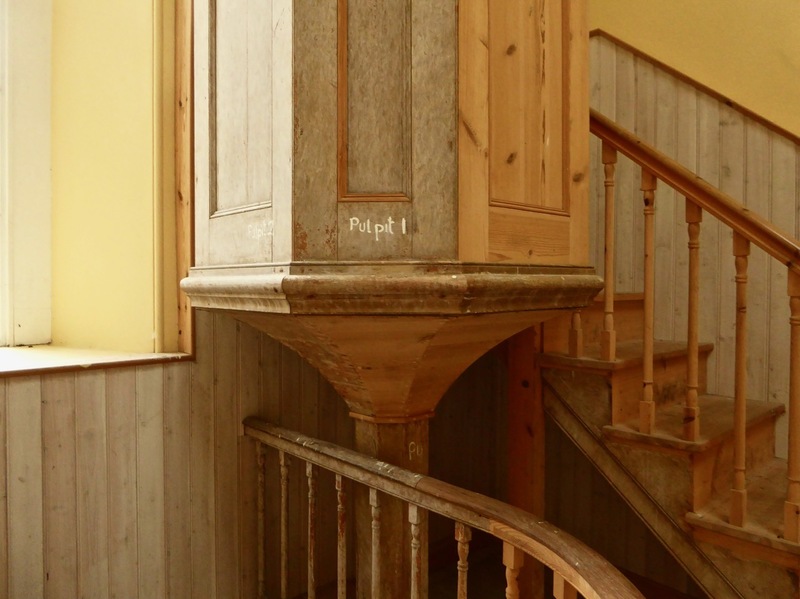 It has been the subject of a conservation project by the Office of Public Works, and is more properly classified as a Heritage Centre rather than a working church, although occasional services, concerts etc are held in the building. 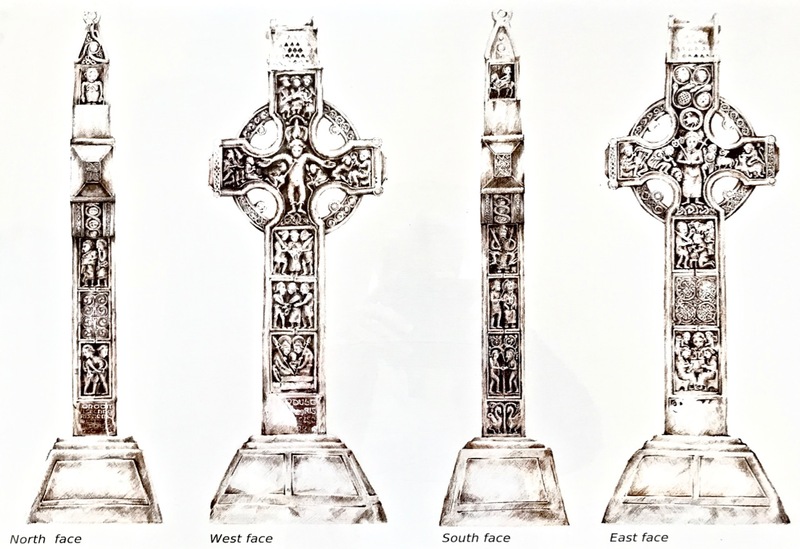 You will remember my fascination with Irish medieval High Crosses from my previous posts – and my concerns for those which remain unprotected from the weather. Here at Durrow the damage which has befallen this High Cross over the centuries is all too visible, although conservation works are in progress and will ultimately return it to good condition. It’s a good example for others to follow. 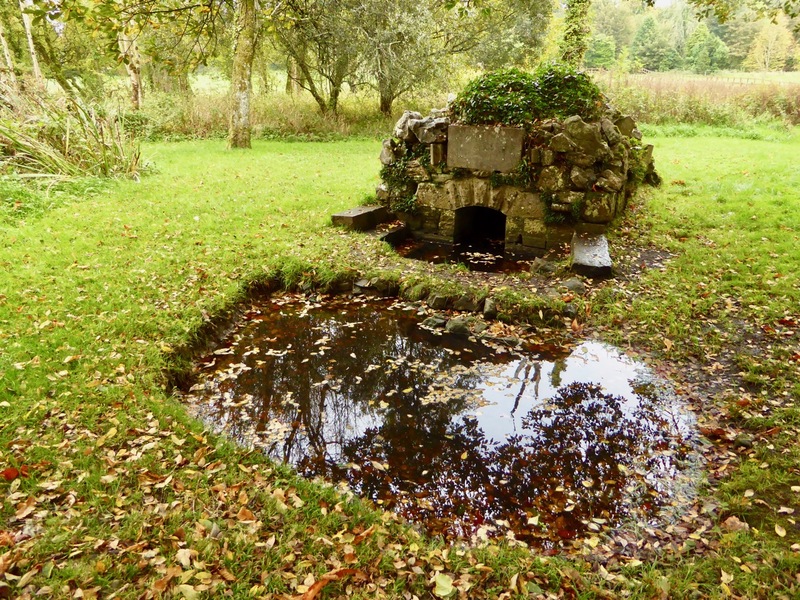 There is yet more to see at Durrow: follow the path to the Holy Well – on your way you will catch a glimpse of the architecturally significant Durrow Abbey House. Built in the Jacobean Revival style between 1837-43, much of it was severely damaged by fire in the 1920s. Subsequent rebuilding incorporated a Queen Anne style Art Nouveau interior. The house is not open to the public. A walk to the well is rewarding, as the structure itself is in reasonable condition and quite ornate. It is still visited on St Colmcille’s feast day, June 9, when a procession arrives on foot from the Catholic Church in Durrow. We couldn’t complete our visit to the Saint’s special places without leaving an offering! This entry was posted in Archaeology, Architecture, Graveyards and Headstones, Irish Art, Irish Craft, Irish History, Medieval History, Religion, West Cork Blog and tagged Durrow County Offaly, Durrow High Cross, High Crosses, Irish High Crosses, M8 Motorway, Medieval Cross-Slabs, National Monuments Service of Ireland, Off the M8, St Colmcille, St Colmcille's Church. Bookmark the permalink. 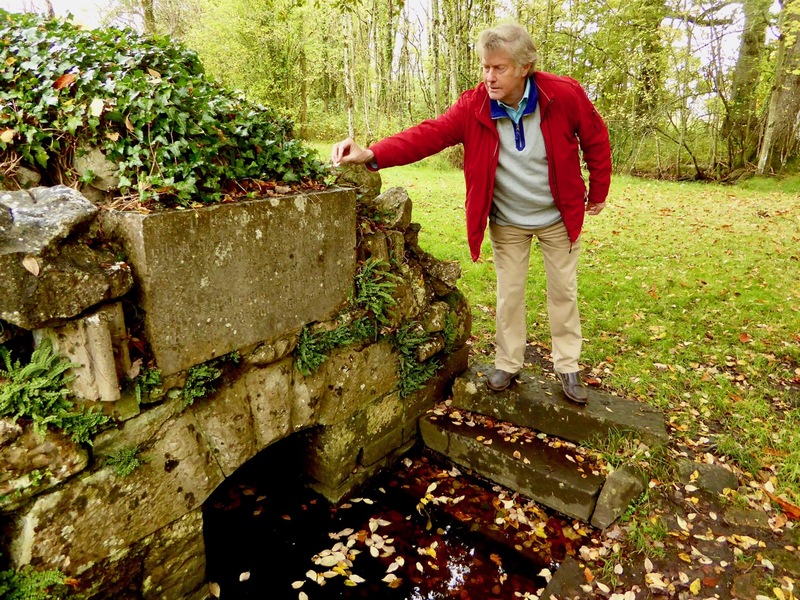 Robert, what a fascinating hidden place- I had no idea of its existence. I took your prescribed detour while driving from Dublin to Cork a few months ago exploring Abbeyleix & the Village of Durrow with its impressive castle. I will now make a hasty return to this route and seek out this rural Durrow, anyway, abandoning the motorways enables one to travel ‘toll free’! Well worth the detour, the cross is exceptional. I was of course very taken with the well but my mind is boggling at the Queen Anne Art Nouveau interior of the big house! 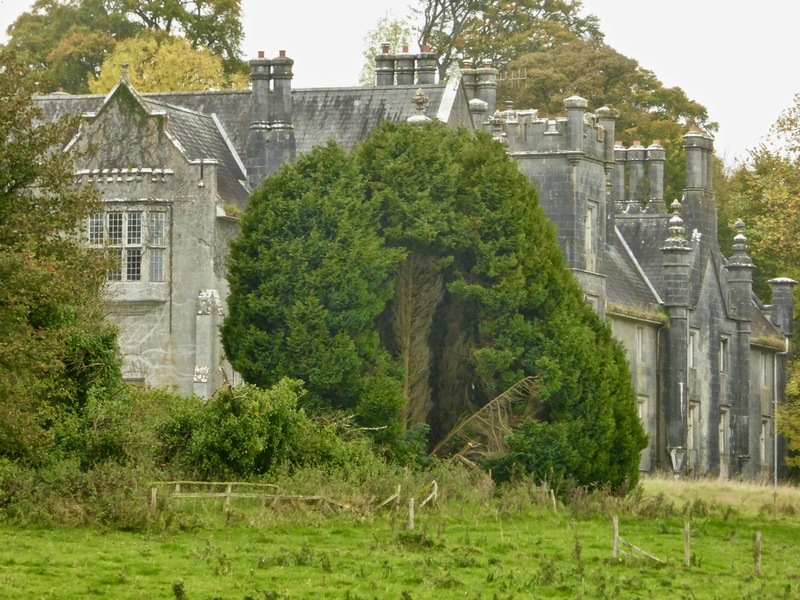 There’s so much to experience here… And I didn’t even mention the Book of Durrow!